Hometown Habitat aligns fully with the Earth Day mission, as a citizen’s call to action, to restore native ecosystems in every hometown. By restoring native plants one person, one family, one community, we will achieve sustainability. And, what is more amazing than the power that native plants have in helping to fix the environmental issues that inspired Earth Day in the first place? Native plants provide ecosystem services such as sequestering carbon, cleaning air and water by filtering pollutants, capturing storm water, stopping erosion, building topsoil, providing diversity for insects and pollinators, and connecting humans to their natural world. An exciting, important part of this project has been engaging environmental organizations around the country. As we work in the field filming and through fundraising outreach, we have connected with groups in every single state. Screenings are already being planned and folks are anxious for the fall release. We see Hometown Habitat being shared in classrooms, churches, businesses and communities to educate about the vital role of native plants and to get the ball rolling toward restoring habitat. The film will be authored in chapters so it can be viewed in its entirety or by each story. For example, city officials might want to take a look at the tree canopy story in New York City to see how city planners there successfully envisioned planting a million new trees within ten years. Good news. The initiative is actually two years ahead of schedule! The next few months are critical to the production. We have a very active schedule planned to finish filming by the end of June. Here is where we need your help. Please consider supporting Hometown Habitat. If you are an organization, mulling over a donation with board members, now is the time to jump on board with a gift. If you are an individual, your donation is tax deductible. Make it your Earth Day gift. 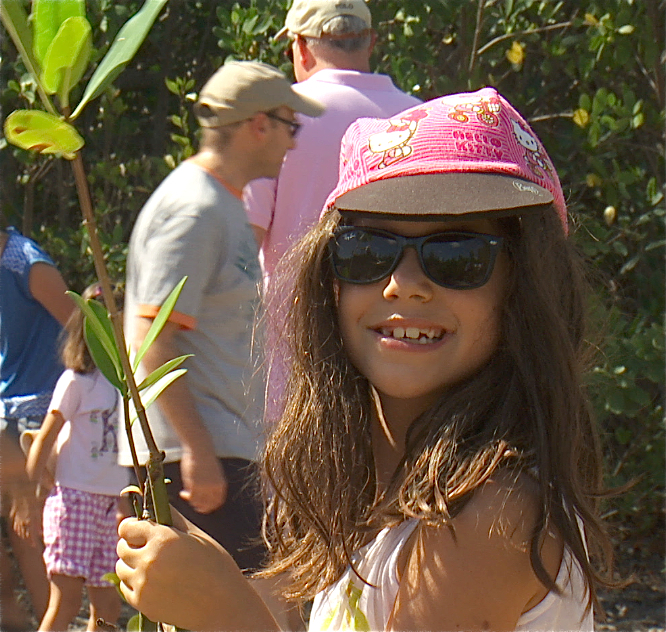 And then go out and plant a native plant, like this young girl! 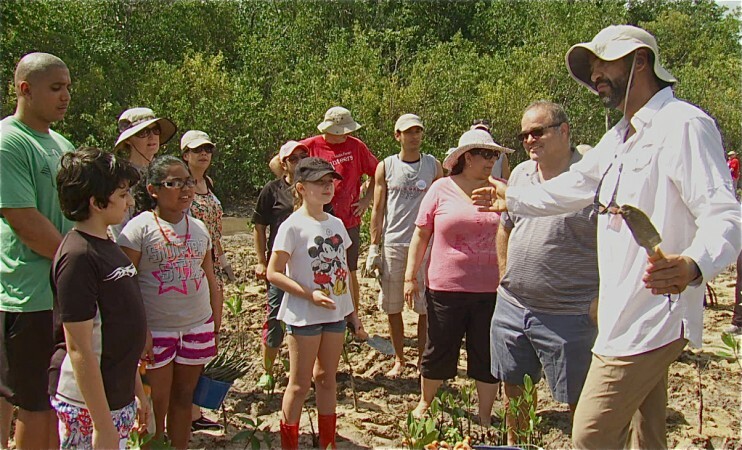 Young student happily joins in Mangrove planting. Mangroves are critical native trees in Florida coastal ecosystems. Photo courtesy of Hometown Habitat.